These are all designs that I've hand painted on my natural nails; they have strong lines and bright, bold colors, packing some punch for summertime fun. With Labor Day coming up, it's time to take advantage of the last of the long days of summer, getting in one last wear of your favorite sun dress and stocking up on the remaining polishes from limited edition summer collections. I used two polishes from summer 2012 collections: the green in "Citrus Blocks" (above) is Essie's Mojito Madness, from the Summer 2012 collection, and the white with a blue cast in "Hot & Cold Angles" (below) is OPI's My Boyfriend Scales Walls, from the Spiderman collection. 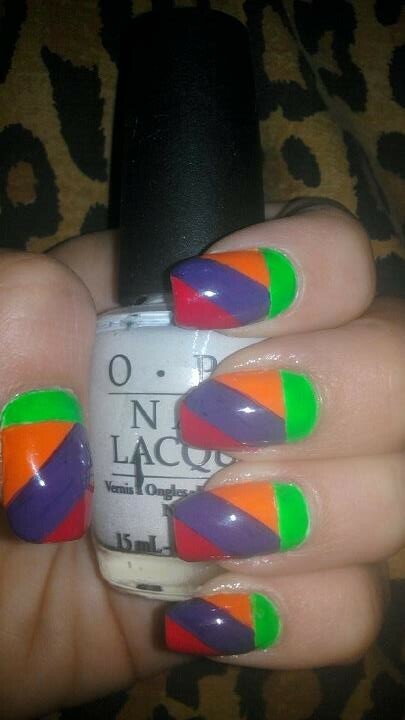 For these last two designs, I used a smaller nail art brush or a striper brush for greater control and precision. You could also create these designs using tape. Apparently, the key to using tape and getting a clean line is to wait until the most recent coat is completely dry, apply the tape, paint the next coat, and immediately remove the tape (I have yet to master this technique). 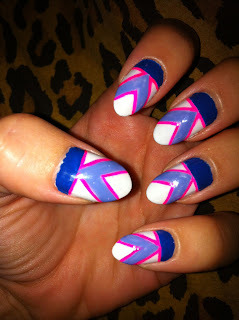 Check out the Nailside blog for some impressive tape manis. When you're working with bright colors, starting on a white base makes the colors look brighter and more saturated. It might take two coats of white polish to have an even and opaque base. Try it and compare the difference; you'll be amazed. 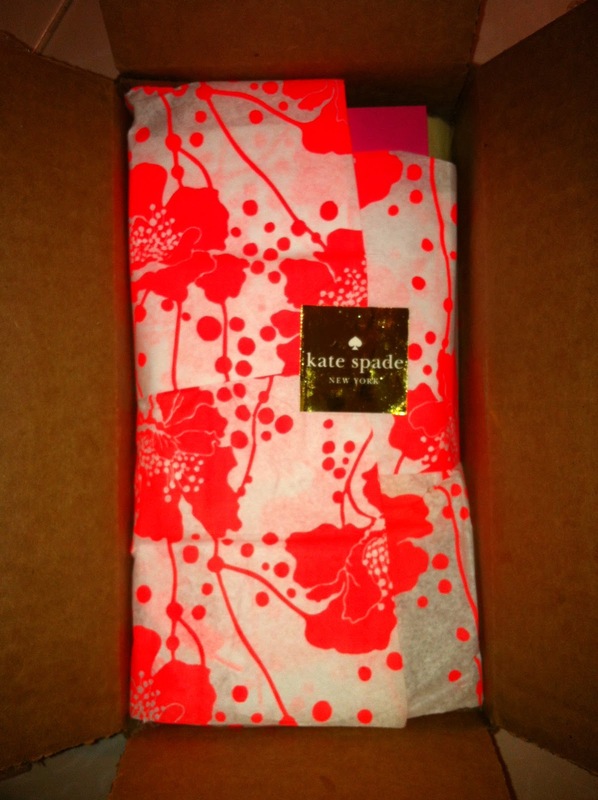 Earlier in the summer, I received the most perfect little package from Kate Spade, as pictured. Very much enamored of this tissue paper, I decided to incorporate the colors and patterns into my next manicure. I painted my nails free-hand with the exception of using a sponge on my pinky nail for the ombre effect. I used a small nail art brush for the flowers and a striper brush for most of the lines. It's difficult to see in the picture that the flower on my index finger is pink. A couple of weeks after finishing this mani, I stumbled upon the below video. 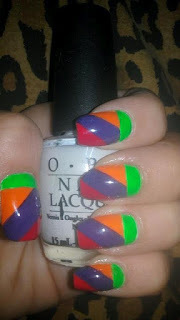 It discusses "nail art" as being either a craft or an art as well as the difference between the two. Unbeknownst to many, aesthetics is actually one of the subdivisions of philosophy. Whatever your passion, I urge you to improve your skill, be innovative, and see the world in new ways for novel inspiration. You will enjoy your product and the process of creating it all the more. My series of posts on traveling are drawing to a close--for now. But of course I wouldn't leave you high and dry without the skills to pack a suitcase, the best resources for what to do and where to go, and a little something to wet your appetite for the voyage of a lifetime! Louis Vuitton's claim to fame is the suitcase, even though the current-day association when someone hears "Louis Vuitton" is luxury handbags. Anyone can pack a suitcase, but to pack a suitcase in a way that best utilizes the available space while protecting the contents is no easy feat. Leave it to the masters at Louis Vuitton to give the inside scoop on The Art of Packing, one of the most fundamental skills for any trip. "The Art of Packing" is an online interactive guide that instructs how to pack a suitcase. I just visited NYC, and, after packing according to LV, I can attest first hand to the utility of their advice. When you go to "The Art of Packing," be sure to select the type of suitcase you'll be using (horizontal suitcase, upright trolley, or weekender) on the left side of the screen. Knowing the hot spots where you are going is key for taking full advantage of your time someplace. Some of the best places and experiences are hidden and not meant for tourists. I suggest utilizing a variety of resources to capitalize on what your destination has to offer. First, create files for travel (one in your "favorites" on your computer and a concrete file in your file drawer). When you find an article in a magazine or online, add it to your file. Second, consult travel magazines and guidebooks; common ones include Frommer's, Conde Nast Traveler, and Travel & Leisure. Urban Outfitters sells The Cities Book, 432 pages of the best architecture, food, and nightlife for cities all over the world, and it makes a great coffee table book as well. Kate Spade has complimentary City Guides online that include 24 hour itineraries for New York, LA, London, Tokyo, and Tahiti. JustLuxe also has online Luxury City Guides for dozens of domestic and international cities. 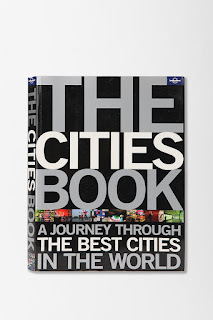 Black Book Magazine's collection of extensive city guides, as well as an iPhone app, are other valuable resources. On my personal must-have list are Louis Vuitton City Guide: European Cities 2013 collection ($145), which includes 9 booklets in a boxed set that covers 31 cities in Europe (including Moscow). Hard back Louis Vuitton City Guides are also available for individual cities, including New York, LA, Paris, London, Rome, Berlin, Hong Kong/Macau, Tokyo, and Kyoto/Nara. Take a look at the LUXE city guides at L-attitude for 411 on destinations in the United States and all around the world. Also, do a search online with the name of your destination + "office of tourism" for information about things to do, the weather, and other worthwhile details (tipping, if most people speak English, etc). Third, when you get to your destination, talk to the concierge, and, if it seems safe (ask the concierge! ), chat up the locals to find out their favorite spots. Locals are more likely to suggest places that will provide you with an experience that's more cultural than most places recommend for tourists. Fourth, do a search on The Cool Hunter and Trend Hunter for your destination to see if anything pops up that's a must-visit. Lastly, I'd like to leave you dreaming and inspired. Culture and Cuisines by Private Jet is sure to leave you wanting; the sky isn't even the limit. 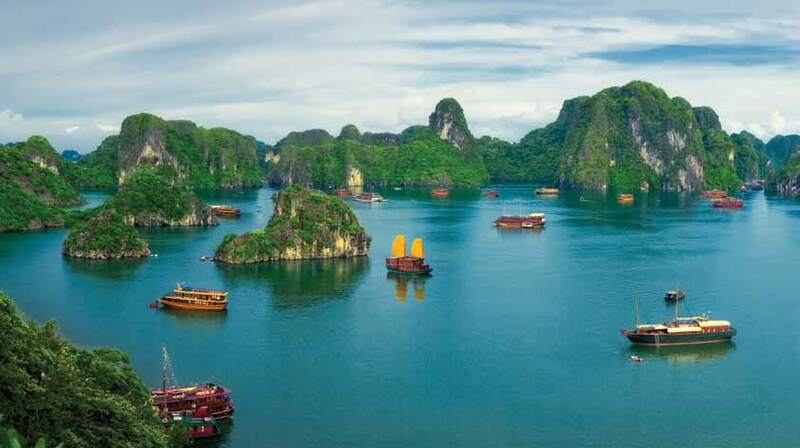 Columbia University offers annual excursions to exotic lands that are nothing short of out of this world. For 2012, they have an itinerary, experts, and accommodations to create an experience that is not only once-in-a-lifetime, but once-in-a-lifetime for only a handful of very fortunate individuals. For 3 weeks, they will traverse the half the globe: Iceland, France, Greece, Hungary, Vietnam, China, India, and Oman--by private jet. Their travels will be infused with the knowledge and richness that only the most accomplished in their fields could provide: world-class scholars from Columbia University, art historian Charles Doherty, and "Gastronomica's" editor-in-chief Darra Goldstien. Aside from the phenomenal opportunity this adventure presents, it also models a better way to live; the University gives back to the people and places they visit, contributing funds, supporting craftsmen, and donating materials to hospitals and schools. I'll leave you with this: to visit someplace is not enough. You must acquire the knowledge, actively participate in your surroundings, and be open to truly appreciate your travels and all they offer. Traveling can be a window to the world--and to yourself; it can be a life-changing experience. Travelling can yield great experiences and be tons of fun and very enjoyable; it can also be inconvenient, disastrous, and yield headaches. Making the most of travelling requires being 1.) prepared 2.) organized and 3.) travel savvy. Unfortunately, the latter typically develops with experience, but it can also be learned vicariously. Going on an international trip can be overwhelming, especially if you're travelling alone, haven't been to your destination previously, don't speak the language, or aren't used to travelling; there's much that needs attention, from getting traveler's checks and calling credit cards to the task of packing. The most important thing to remember when you're travelling is to be safe, which includes using your street smarts. For each of the below items, which I've selected to help make your en route experience easier and more comfortable, I've included a simple but important travel tip. 1. Tepper-Jackson "Jet Setter" canvas coated luggage tag at Neiman Marcus, $20 each. You need luggage tags, end of story. The best reason to have a luggage tag is if your suitcase gets lost or for easy identification purposes at baggage claim if you have a common suitcase. Aside from luggage tags, hide your information inside of the suitcase somewhere since a luggage tag can easily be removed. Luggage tags that have a flap over the personal information are best so that a creepy by-stander can't see your personal info. (It's not obvious if these Tepper-Jackson luggage tags have a flap over the personal info). TIP: Never take anything of great value with you on vacation, especially in your suitcases that are going to be checked. Luggage can be lost, stolen, or damaged. I completely understand that you want to take your special diamond earrings for a special event at your destination, but, unless you're travelling by private jet (tsk tsk, not very green), it's not worth it. Also, as much as I love fine designer items, especially luggage, flaunting a Louis Vuitton suitcase (let alone a set) in a public airport and en route to your hotel simply makes you a target. 2. Universal Travel Adapter at Urban Outfitters, $20. Again, this is a must-have for international travel. This specific adapter is for the US, Australia, UK, and Europe. TIP: Take two travel adapters with you. You'll be very upset if you have to choose between charging your camera or charging your phone. Also, look into getting a Charger and Cord Case ($30) if you have several chargers you'll be taking. Lastly, keep the most important charger that you're most likely to need with you in your carry-on. If your luggage gets lost or put on the wrong flight or you get stuck due to delays, you will be very glad to have it. TIP: There is limited air circulation in the cabin when flying, and the air is very dry, which can lead to dehydration. This is bad for your body and your skin; it can also cause fatigue. Be sure to drink plenty of water in flight and use a moisturizer on your hands and a mist for your face, such as the mini Evian mineral water spray (avoid touching your face), to keep yourself hydrated. In the airport, after you go through security, buy a water for on the plane so you're not at the mercy of flight attendants and their cart schedule. 4. Compact Travel Pillow & Pouch by Cocoon, $20. If you hate neck rolls like myself, then this is the solution for you. This is the Cocoon Travel Pillow in Medium, 11 x 15". I have this travel pillow, and it is a must-have for extended travel. It rolls into a small pouch, sized perfectly to fit in a travel tote and still have plenty of room. However, the pillow does not easily go into the small bag, even though it does fit. This pillow has a matching Pillow Case, available for purchase separately for $10. TIP: Stylish dress for en route is just as important as wearing functional clothes to make sure you're comfortable and ready for whatever your journey throws your way. I suggest wearing layers to allow for adjusting to different environments that have a range of temperatures. Also, with lifting and pulling suitcases, make sure you're wearing clothes that are conducive to the full range of motion sometimes necessary when travelling. Ripping clothes while hauling a 100 lb suitcase off a moving belt in a crowd of people isn't fun. Be sure you're wearing shoes that are up for the task as well. If you want to go the route of heels, just be sure you could run a marathon in them (I'm better at running in heels than in sneakers, so I have confidence in you!). If you buy shoes specifically for your trip, wear them for extensive walking for a couple of days well before you leave to be sure you won't suffer and have time to find replacements. 5. Shoe Bag Set at Henri Bendel, 2 for $48. Put your shoes in bags to prevent the dirty soles from rubbing against your clothes. If you don't want to spend $50 on bags for your shoes, use plastic bags. I recommend organizing as many items as you can into bags to make finding things easier and to prevent entering your suitcase from being like a treasure hunt. Also, this will make packing easier. These Five Travel Bag Organizers at Neiman Marcus ($70) are great for organizing odds and ends, such as pill bottles, brushes, socks, and jewelry. TIP: If you have anything particularly fragile, put it in a small jewelry box or a shoe box inside your suitcase. If there is any extra space in the box, use it for other small items as not to waste space. Also, always take a plastic trash bag and a few small zip sandwich bags; these are good to have for random and unforeseen needs. 6. "HyperJuice" portable smartphone/iPad charger by HyperShop at Nordstrom, $128. If you plan on needing an outlet to recharge your smartphone when one won't be available, this gadget is a must. With everything from GPS to your camera on your phone, your phone can be one of your best travel companions and something you don't want to be without. TIP: 1.) If you're flying, always weigh your suitcase to be sure it is several pounds under the weight limit; you will likely be carrying more in your suitcase on the way home: souvenirs, shopping treats, etc. A completely packed suitcase on the way there could very easily leave you with a dilemma on your way home. 2.) Check out USA Today's guide for measuring your suitcase to be sure your luggage meets your airline carrier's requirements. 3.) Lastly, at check-in, always double check the airline luggage tags that are placed on your checked bags to be sure they are accurately labeled to get to the right destination. Tech TIP: Call your cell phone service provider before heading overseas. Some companies have special, short-term plans available for cell phone use while travelling abroad. 7. Casablanca Train Case at Neiman Marcus, $54. This train case has two removable plastic cases inside of it to keep products from leaking into the train case and on other items in your bag. There is absolutely no chance of your conditioner, shampoo, body gel, etc getting through the plastic bag and the train case. This will save you from having to deal with a disaster. Also, this train case has other matching accessories, including a jewelry roll, makeup roll, travel pouch set, and "weekender." TIP: Protect your suitcase from the outside too. For suitcases you're going to be checking or that are going to be thrown in a compartment under a bus, look into purchasing a luggage cover. It will protect your suitcase from scratches, rips, and grease marks that happen during its time in the cargo area and while being tossed around on airport belts when its out of your hands. A $400 bag of any kind is a terrible thing to mar. That being said, also stay away from light colored luggage. 8. Emilio Pucci Printed PVC and leather passport cover at Net-a-porter, $220 and Royce leather checkpoint passport & travel document holder at ShoeBuy, $55. You do not absolutely need a passport cover, but if you're going to get one, I'd opt for this Pucci piece. Although you might not need a passport cover, I highly recommend a place to keep all of your important travel documents together while in transit: tickets, luggage claim stubs, flight info, passport, etc. These are the items you are going to want to know where they are at all times and have easily accessible. A travel document wallet like the black Royce one pictured is a very easy way to accomplish this; the different sized compartments are perfect for the variety of stubs, tickets, and papers you'll have and it makes staying organized simple and sweet. TIP: Money: 1.) If you're going to a large city (LA, Rome, Tokyo, etc), use traveler's checks; they're useless if stolen (unsigned) and there's no threat of financial loss. However, if you're travelling to smaller cities, it might be difficult to readily find places to cash traveler's checks, so make sure you take advantage of cashing them when you can and get larger quantities of currency when you do. 2.) Never have more cash on you than what you need. There's also the option of splitting up where you keep your money on you: keep some in your wallet and put the rest in your bra, front pocket, etc. If you really want to go overboard, have a fake wallet when travelling in case someone tries to rob you. Also, never have both your passport and ID in the same place. If they both get stolen, you're out of luck. 3.) If there is a hotel safe, use it. If not, again, split up your money in the room so it's not all in the same place. 4.) Get $20 USD worth of your destination's currency before you leave. One time, I arrived in a small airport in Pamplona at 2AM; everything in the airport was closed and the only money I had was USD. I could not find a cabby who would take my money and had to wait an hour for the bus after having already traveled for 23 hours straight. 5.) Take at least two credit cards with you in case one isn't accepted at some places. Also, be sure to call ahead to your credit card companies to let them know you will be travelling so they don't put a hold on your card. 6.) Never count your money in public and always count your change. Some vendors will try to take advantage of you (others, of course, will be helpful). 7.) Budget ahead of time to have an idea how much money you'll use throughout your trip so you can pace yourself. Using paperclips and envelopes to separate chunks of travelers checks for days or weeks can be helpful. Always plan on having at least $100 more per week than what you anticipate needing. 9. Lanvin printed silk-satin travel kit at Net-a-porter, $495. Block out the light and give your feet a rest with this luxurious Lanvin set. If you don't feel the need to spend $500 on slippers and a sleep mask, look into some City Slips ($30) and turn to Mary Green's "Come Fly with Me" sleep mask ($25). These are two fundamentals for comfort you do not want to be without. TIP: Lastly, before traveling, do your research: look at a few maps, read a bit about the culture, learn a few lines of the history of your destinations. You'll be ready to go when you get there and have a greater appreciation of what you experience. Even if you live and die by a schedule and plan in your sleep, set aside a couple of hours of unplanned time to meander and explore. Some of the best experiences and places (and people) are the ones we just happen to stumble upon. Travel: "Life is a collection of experiences"
Travel: to go from one place to another; take a trip; journey. Exposure and experiences are the essence of travelling. The below trailer for the film Here taps into the world of travel and is a fabulous introduction to a series of upcoming SugarSpiceStyle posts related to travelling. Presented by The Luxury Collection Hotels and Resorts, Here reminds us that "Life is a collection of experiences." from Gustavo Sousa on Vimeo. Co.DESIGN interviews Gustavo Sousa, artist behind oceaniaeuropeamericasafricaasia. Inspired by the Olympics and its icon, Gustavo explains to Co.DESIGN that world "events like these can be a good time for reflection...The rings represent healthy competition and union, but we know the world isn't perfect. Maybe understanding the differences is the first step to try to make things more equal." The article, Infographics: Using the Olympic Rings to Show Vast Inequalities, further discusses Gustavo's inspiration and details behind oceaniaeuropeamericasafricaasia. Dolce & Gabbana deliver a wonderful dose of whimsy with this heel adorned in roses and crystals. For me, this conjures up images of Alice in Wonderland; anyone for painting some roses? Take a look at Vogue's 2003 article of The Adventures of Alice as featured on The Aesthete and the Dilettante, showcasing haute couture designers' interpretations of Alice's garb. This is truly an A-List selection of designers: Marc Jacobs, John Galliano, Victor & Rolf, Karl Lagerfeld, and Nicolas Ghesquiere to name a few. Maison Martin Margiela plays Medusa, turning shoes literally into stone. These pull-on leather ankle booties are dipped in cement, introducing a new medium with a unique texture to shoes. Wondering how to pull these off in an outfit? I'd play with textures and obviously go for materials and styles associated with "street" wear: studs, leather, zippers, denim, etc. Considering these are cement, they are, from a styling perspective, a very wearable shoe. The much buzzed-about Christian Louboutin Cinderella slippers were introduced earlier this month in Paris. 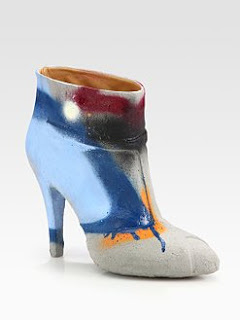 I was anticipating a glass shoe, more along the lines of the glass shoe designed by Maison Martin Margiela a few years ago (the pair retailed at about $20,000). 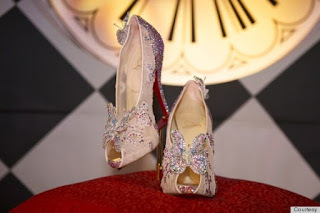 However, if you love a fairy tale, butterflies, Loubou's, and crystals, then these shoes were made for you.